It wouldn’t be wrong to say that Flipboard stands a few inches taller than the other newsreader apps and websites out there. The stylish news reading application debuted on iOS and soon came over to Android Flipboard For Android Tablets Is Finally Here. Here's How It Works Flipboard For Android Tablets Is Finally Here. Here's How It Works The ultimate tablet magazine is ready for your Android. Long an iPad-only offering, Flipboard arrived for Android tablets in December – and I've barely put my tablet down since. With the ability to pull in... Read More as well. While it is not a true blue RSS reader in the traditional sense, Flipboard has enough going for it to be counted as among the best out there as well as the slickest Google Reader alternative Bring the News to Life With These Slick Google Reader Alternatives Bring the News to Life With These Slick Google Reader Alternatives Google Reader works and lead the way in RSS feed readers for a long time, but it's boringly simple, even for Google design ethics. These readers add new dimensions! They add new ways to physically... Read More . The news reading and content curation scene is a dog-eat-dog world. One of the reasons for the widespread popularity of Flipboard has been its momentum to add new features. It took its second wind and added audio via SoundCloud; Apple iBookstore and Books categories to its list of Content Subscriptions and recommendations, and a few more little changes here and there. One of the recent but not-so-little changes has been the power feature of creating your own personalized magazines with Flipboard. If you like curating your content, this is a heaven sent. Flipboard gives you a browser based online editor to create your Flipboard magazines. You will need to sign-in with a Flipboard account to begin the process. Registering for an account though, can only be done through the Flipboard mobile apps for iOS and Android. The first look of the magazine editor is frankly, not very impressive; it is barebones as you can see below in the screenshot. Also, if this is your first visit to Flipboard on the browser, you wouldn’t know where to start as there are no apparent instructions. You don’t need ’em. Click on the little bounded box which says – Create Magazine. A little box opens up where you get to describe your first magazine. There are quite a few categories you can slot your magazine into. Also, choose whether you want to keep your magazine public or private. The collation of resources into your first magazine actually happens with the help of a browser button. The button – a browser bookmarklet – is available on the Flipboard site, but you have to rummage around for it. I got it by going to the FAQ page and jumping to the bookmarklet page from there. The Flip It bookmarklet (a ‘+’ button can also be installed on the iPhone and iPad according to the instructions given on the page. 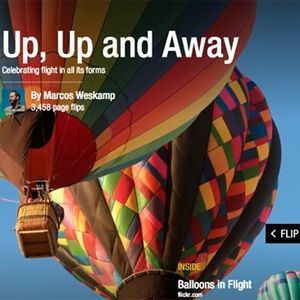 The Flip It bookmarklet makes it easy to add the websites and webpages you like to your own self-created Flipboard magazine. To save any article or website, just click the button from your bookmarks toolbar and then select the specific magazine you want to add it to. Remember, you can create as many magazines you want to, and cover your diverse interests. You can add a caption to your links. For now, the Flip It bookmarklet picks up a random (usually the first) image as a graphic to illustrate the saved page. You cannot flip through to pick an image of your own. Often, it is not the neatest of images that gets picked by the bookmarklet. The Flipboard Editor is where it all comes together. You can go back to your Editor and rearrange the order of articles for a better flow. 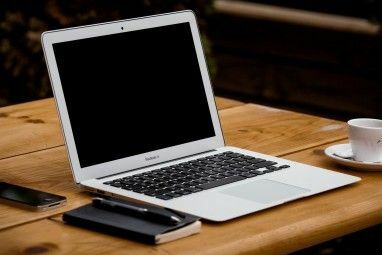 Remember, readers will be flipping through the articles, so it pays to give some attention to how the articles will flow from one to the next if the topic so demands. You can set any of the articles as a cover story. After you are finished with adding pages and articles, you can share your magazine via the usual channels of Twitter, Facebook, and email. You can make the magazine more open by inviting other contributors. The Invite contributors button wasn’t working at my end, though it is probably a temporary glitch. Creating an open magazine with others who share your interests can help to ramp up content curation from the web. Contributors also add content with the same Flip It button on their browsers or the + button on Flipboard. Users can subscribe to you magazine from the Flipboard apps. 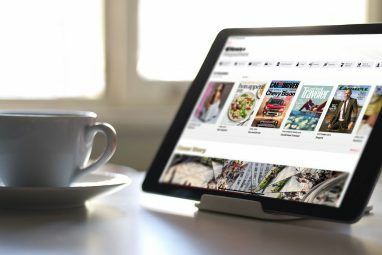 Flipboard displays self-created and co-curated magazines which you can access by going to the By Our Readers section on the iOS or Android app. Even without the reader-created magazines, Flipboard gives you enough content to consume. Reader contributions add another dimension to it. You can virtually use the magazine feature as a bookmarking tool to favorite articles of interest. What’s appealing is the ease of use for creating magazines. It’s just one-touch on the bookmarklet or the + button. If done with care, the co-curating feature could be a surefire recipe for building a knowledge base on any topic. The measure of success could be the number of readers and page flips you tote up. Blogging is one of the ways to build a community around what you are passionate about. Flipboard’s magazines seem to be an even easier way to build an online community. Be the editor of your own magazine, and come back to tell us all about it. 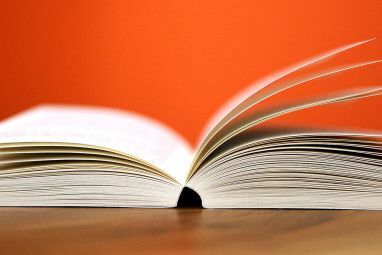 Explore more about: Bookmarklets, Flipboard, Reading.